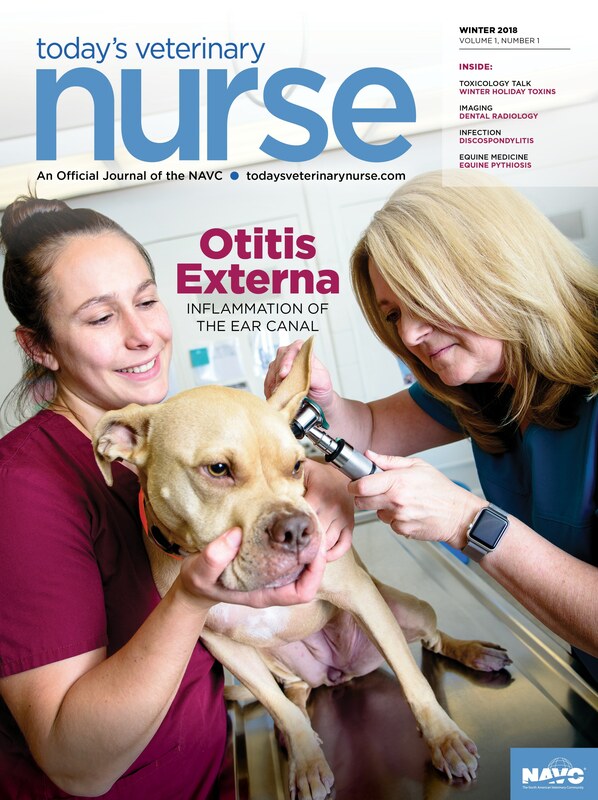 Today’s Veterinary Nurse supports your clinical skills, professional development, and career growth. According to the American Psychological Association, resilience is “the process of adapting well in the face of adversity, trauma, tragedy, threats, or significant sources of stress.” Essentially, it means “bouncing back” from difficult experiences. A look at dog obesity and overweight prevalence from Banfield Pet Hospital’s 2017 State of Pet Health Report. Animal cruelty carries legal consequences that veterinary professionals need to understand in identifying abuse. Learn how to document and report cruelty. This article examines the important role microbiota plays in the development, immune regulation, and maintenance of an animal’s GI health. What began as a routine condition and progressed to a dedicated, one-on-one nursing case, the case report outlines the importance of a thorough workup in managing a patient’s whole disease process and demonstrates the many aspects of renal care, management, and complications.